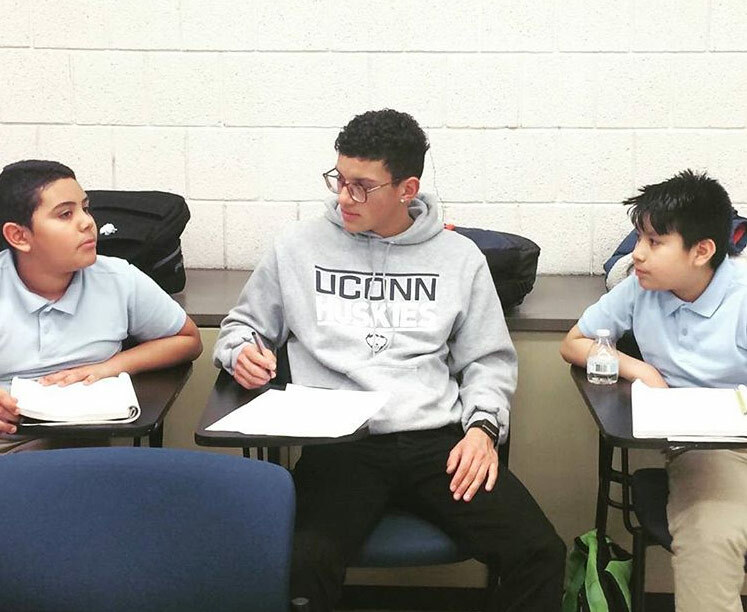 This is Jakob a UConn mentor and his two mentees, Luis and Giovanni. Jakob was originally paired with Giovanni but when Luis came to the program and didn’t have a mentor Jakob agreed to take him. This trio is full of positive energy. They talk about everything from sports to TV shows to plans for the future. Jakob is embodying exactly what it means to be a great mentor.